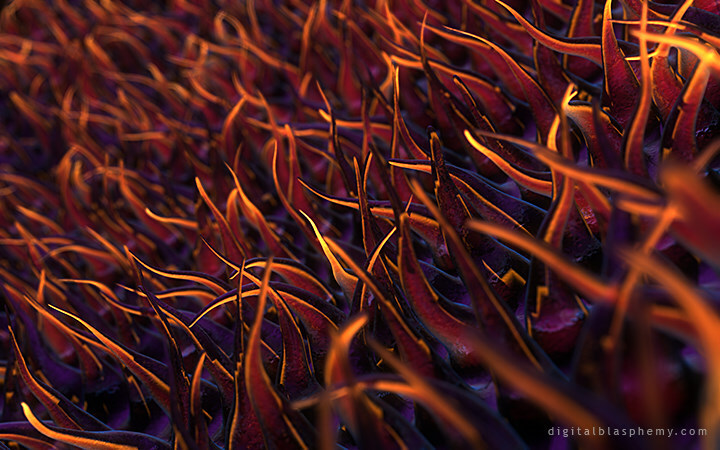 Cilia, microscopic, tentacle-like extensions from biological cells, have risen from relative obscurity and are now considered important to the understanding of many human afflictions. Ciliopathies often make themselves known as syndromes with widely varying effects on a number of tissue types. This is the subject of a new study. There are number of human diseases in which cilia may play a role; for example, some cancers and neurological diseases may be related to ciliopathies. Because of the limitations placed on research involving humans, the authors propose the use of model species ranging from the green alga Chlamydomonas to the house mouse to further study the role of cilia. The study authors write, "We can anticipate that new and improved techniques will open new avenues for gaining further insight into these immensely important and ever more fascinating cell organelles." Gut microbes appear to influence the development of the blood-brain barrier in mice, before and soon after they’re born, according to a study published in Science Translational Medicine. “It’s absolutely fascinating to think that gut bacteria can control permeability of the blood-brain barrier,” Caltech microbiologist Sarkis Mazmanian, who was not involved in the study, told The Scientist. 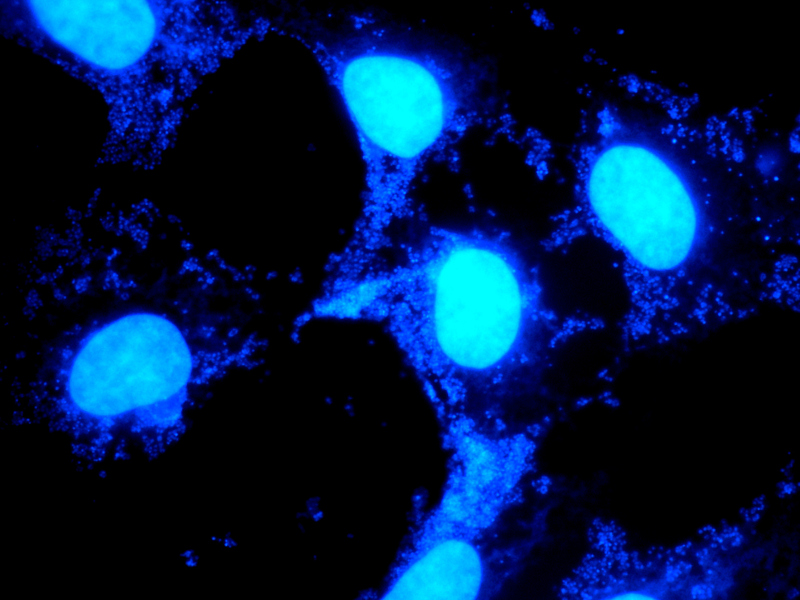 The blood-brain barrier (BBB), which shields the organ from blood-borne infections, toxins, and more, is created by steadfast connections called tight junctions between the endothelial cells that line its blood vessels. So effective is the barrier that most proteins and molecules cannot pass through; those that do generally require selective transport via specific receptors. A similar barrier—made up of epithelial cells and tight junctions—lines the intestine and stops the trillions of microbes present in the gut from escaping into the body. It’s known that the gut bacteria themselves control integrity of this intestinal barrier, said Sven Pettersson of the Karolinska Institute in Sweden who led the new study. The team compared development of the BBB between germ-free fetal mice and those with normal microbiomes. As expected, the mice with normal microbiomes exhibited normal closure of the BBB toward the late stages of fetal development—a traceable antibody that could be detected readily entering the brain in the early fetus became restricted to blood vessels later on. In the fetuses whose mothers were germ-free, however, the antibody continued to enter brain tissue even late in pregnancy. This increased barrier permeability was associated with low expression and disorganization of tight junction proteins and was shown by additional methods to persist into adult life. That is, pups that were born to germ-free mothers and that remained germ-free throughout life had leakier BBBs as adults. V. Braniste et al., “The gut microbiota influences blood-brain barrier permeability in mice,”Science Translational Medicine, 6:263ra158, 2014. New drugs and treatment strategies will be developed from research that provides a new understanding of how bacterial toxins target human cells. Cholesterol-dependent cytolysins (CDCs) are toxins produced by major bacterial pathogens, most notably Streptococcus pneumoniae and group A streptococci, which collectively kill millions of people each year. The toxins were thought to work by interacting with cholesterol in target cell membranes, forming pores that bring about cell death. Bacteria invest energy into creating these toxins because they act as virulence factors. By targeting immune cells such as macrophages the bacteria will be protected against phagocytosis and destruction by respiratory burst. The presence of cholesterol in the membrane of the target cell is required for CDC pore formation. The arrangement of cholesterol molecules in the bilayer is important for successful binding. Published in the journal Proceedings of the National Academy of Sciences, the research is an international collaboration between Professor James Paton from the University of Adelaide in South Australia and Professor Michael Jennings from Griffith University, and collaborators at the University of Queensland and Department of Microbiology, New York University School of Medicine. A new paper of interest by Sofija Petkovska1 and Biljana Gjorgjeska, in relation to food hygiene control, published in Journal of Hygienic Engineering and Design. and determination of residues of disinfectants. According to the Republic of Macedonia regulation acts, an application of HACCP system is recommended which will provide safe food with good quality. The methods and control points described in the general principles of this standard are internationally recognized and are from essential meaning. We would recommend in the control of the residues of disinfectants the general principles of HACCP to be used together with the principles of Good Manufacture Practice (GMP) which is well known standard recommended for pharmaceutical production. The validation plan should include determination of the residue quantity of the disinfectant after cleaning with the disinfectant used. The control method for determination of the residue quantity depends on the chemical characteristics of the disinfectant used. In general, specific methods that are sensitive and give possibility for the detection and quantification of selected disinfectant should be used. Foe details, see food micro. BioPharm have issued a free e-book on single-use technology. In the guide, the authors discuss trends in single-use bioreactors, disposable chromatography, and best practices for reducing particulates in single-use systems. In addition, budgeting and sourcing single-use components from multiple suppliers is explored. The latest technologies introduced for single-use applications are also explored. 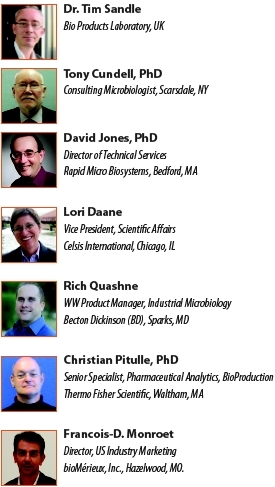 The editors of Pharmaceutical Technology review best practices and methods for analytical and bioanalytical testing. Topics include method transfer during scale up, viral contamination detection, analytical quality by design, screening methods for compliance with USP <232>, and validation of a bead-based multiplexed kit for quantification of nine different cytokines. A roundup of analytical instruments, systems, and software introduced in 2014 will be included. Biologists have described the complex relationships within an ecosystem through a new model. The model ecosystem was a “biological wastewater treatment plant”. In it live numerous species of bacteria which are involved in the wastewater purification process. For the analyses of the treatment plant ecosystem, the researchers employed Systems Biology methods. Wastewater destined for treatment comprises energy-rich substrates including fats, proteins, carbohydrates and many other substances that serve as nutrients for the resident bacteria. Every wastewater treatment plant is therefore a complex ecosystem. The basis for this are the so-called "omics" -- genomics, transcriptomics, proteomics and metabolomics -- combined with new bioinformatic methods for integrated data analysis. There is one species of bacteria that stands out and has grabbed the researchers' attention: Microthrix parvicella, whose genome sequence the LCSB group first decrypted two years ago. This bacterium can absorb and store an especially large amount of lipids. In winter, up to 50 percent of all bacteria on the surface of treatment tanks belong to this species. The implication is that the lipids from wastewater stored in the bacteria are a renewable energy source since they can be easily converted into biodiesel. Stay current with industry best practices for Environmental Monitoring. Join us for an educational webinar on how to implement a Risk-Based approach with your current Environmental Program. Proven risk assessment techniques designed to develop or simply fine-tune your EM program. How the use of environmental monitoring software improves your program through continuous monitoring ensuring a state of control. Actual case studies that illustrate examples of key concepts. How to achieve Lean Manufacturing through the use of such techniques. Registrations will open in January 2015, however please reserve your place today. We look forward to having you join us at this event! To register, go to Novatek. 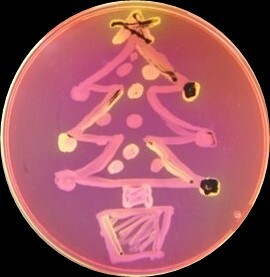 Thank you for supporting Pharmaceutical Microbiology this year. I'd like to wish all readers the best for the holiday season. A healthy dose of microbes are swapped between kissing couples, according to a study published in Microbe. Researchers in Amsterdam swabbed the mouths and collected saliva from 21 couples visiting a zoo in the city both before and after they shared 10-second kiss. They found that the couples tended to have similar microbes inhabiting their mouths, likely because they share kisses, food, and space on a regular basis. When the researchers had one partner sip a probiotic yogurt drink, which contains bacteria not normally present in the mouth, prior to kissing their mate again, they found that an average of 80 million bacteria were swapped between kissers. The report is based on a meeting between the two bodies. One of the world's most prolific bacteria, Pseudomonas aeruginosa, manages to afflict humans, animals and even plants by way of a mechanism not before seen in any infectious microorganism -- a sense of touch. Pseudomonas is the first pathogen found to initiate infection after merely attaching to the surface of a host. The researchers found, however, that the bacteria could not infect another organism when a protein on their surface known as PilY1 was disabled. To demonstrate the bacteria's wide-ranging lethality, Siryaporn infected ivy cells with the bacteria then introduced amoebas to the same sample; Pseudomonas immediately detected and quickly overwhelmed the single-celled animals. More and more infections in Europe are proving able to evade even the most powerful antibiotics, posing an alarming threat to patient safety in the region, health officials said recently. Releasing annual data on antibiotic resistant superbugs, the European Centre for Disease Prevention and Control (ECDC) said bacterial infections resistant to carbapenems - a major last-line class of antibiotics used to treat hospital-acquired superbugs - are ever more common in the European Union. "With a smaller number of effective antibiotics, we are gradually returning to the 'pre-antibiotic era' when bacterial diseases could not be treated and most patients would die from their infection," said Marc Sprenger, the ECDC's director. The Stockholm-based ECDC also said it had for the first time collected data on resistance among infections caused by a bacteria called Klebsiella pneumoniae to a powerful but older antibiotic known as colistin - and had found alarming signs. "According to our data, resistance to colistin was observed in 5% of Klebsiella pneumoniae isolates for the EU overall," Sprenger said. Klebsiella pneumoniae is a common cause of pneumonia, urinary tract and bloodstream infections in hospital patients. If antibiotics are unable to treat them effectively, patients can face long, costly stays in hospital, and risk dying. Colistin is a last-resort antibiotic developed several decades ago that has serious side effects and limitations to its use, but has become essential for treating carbapenem-resistant Klebsiella pneumoniae infections. Drug resistance is driven by the misuse and overuse of antibiotics, which encourages bacteria to evolve to survive and develop new ways of beating the drugs. It has been a feature of medicine since Alexander Fleming's discovery of penicillin in 1928, but has become a major global health threat as new drug development has failed to keep pace with the bugs' ability to develop resistance to them. The ECDC data showed an increase of carbapenem resistance in Klebsiella pneumoniae to a population-weighted EU average percentage of 8.3% in 2013 from 4.6% in 2010. Vytenis Andriukaitis, Europe's commissioner for health and food safety, said the near doubling of resistance in some bacteria in three years was "truly alarming" and illustrated the need to tackle the issue from all directions. "Antimicrobial resistance is one the most pressing public health issues of our time," he said in a statement as the data were published. A new report which sets out the foundation for future research into anti-microbial resistance (AMR) has been published by the Medical Research Council (MRC). The report tells the story of key research achievements over the past thirty years, showcasing some of the best advances and providing the groundwork for a cross-Council collaboration on AMR research. Antimicrobial resistance is a huge and complex problem for healthcare and agriculture. Antibiotics have been used to treat bacterial infections in humans and animals for 70 years, but these medicines are becoming less and less effective. No new classes of antibiotics have been discovered for 25 years and some strains of bacteria are now unharmed by the drugs designed to kill them. In the UK alone £275 million has been spent on research in this area since 2007, yet, to date, no effective solutions have been found. It has been estimated that current antibiotics may be useless within the next two decades. The UK Research Councils have joined together in an historic initiative to tackle this global problem. Coordinating a network of medical researchers, biologists, engineers, vets, economists, mathematicians and designers, the MRC will help to drive through new discoveries and advancements. Understanding resistant bacteria in the context of the host. Accelerating therapeutic and diagnostics development. Understanding the real world interactions. Behaviour within and beyond the health care setting. The report published today offers a timeline and case studies in each area supported by the Biotechnology and Biological Sciences Research Council (BBSRC), Engineering and Physical Sciences Research Council (EPSRC) and the Medical Research Council (MRC). From how American Bullfrogs might help to treat wounds infected with MRSA, to how a smartphone app helps healthcare professionals choose the best course of treatment to ensure antimicrobials are prescribed appropriately, the report provides a shop window on AMR research. Are alcohol wipes effective in the presence of protein? (including Mycobacteria, the genus of bacteria that includes the infectious cause of tuberculosis). Alcohol wipes are virucidal against ‘enveloped’ viruses, such as HIV and hepatitis B and against the ‘non-enveloped’ viruses, such as poliovirus, rhinoviruses and hepatitis A. However, in addition to microbial contamination, surfaces may also be contaminated with protein residues such as blood and pus. It has been suggested that alcohol may bind protein to stainless surfaces and the presence of protein may compromise the efficacy of alcohol based wipes. In the section Aseptic preparation, freeze-drying under aseptic conditions is added. Examination of the order of incubation for the recovery of bacteria and fungi from pharmaceutical-grade cleanrooms. A study was undertaken to compare microbial recoveries from pharmaceutical-grade cleanrooms using two different incubation regimes and a general-purpose agar (Tryptone Soy Agar). One temperature regime (A) incubated plates first at 30 degrees C to 35 degrees C, followed by 20 degrees C to 25 degrees C; the second temperature regime (B) began the incubation with plates at 20 degrees C to 25 degrees C, followed by 30 degrees C to 35 degrees C. The experimental outcomes demonstrated that there was no significant difference with the total microbial count when measured using a t-test (0.05 significance level; 95% confidence interval). However, with the recovery of fungi, the second incubation regime (B), which began with the lower 20 degrees C to 25 degrees C temperature, produced higher incidents and numbers of fungi. While this finding might provide the basis for adopting one incubation regime over another, a review of the types of cleanrooms recovering fungi suggests that fungal incidents are low, and they are more often confined to specific areas. Thus, as an alternative, incubation regimes could be varied to suit different cleanroom environments or a selective mycological agar adopted for specific areas. Published in: Int J Pharm Compd. 2014 May-Jun;18(3):242-7. About half of the H3N2 influenza samples tested in the United States encode altered antigens from the strain used to produce this year’s vaccine. While widespread vaccination is still the best defense against the influenza virus, the US Centers for Disease Control and Prevention (CDC) warned recently that many of this year’s circulating strains are different from the ones used to formulate the annual flu vaccine. So far this season, more than 90 percent of the reported flu cases in the US are of the H3N2 subtype, and 52 percent of the samples tested have mutations in antigen-encoding genes compared to the sample used to produce the annual vaccine. For further details, see The Scientist. Antibiotic drugs save lives. But we simply use them too much — and often for non-lifesaving purposes, like treating the flu and even raising cheaper chickens. The result, says researcher Ramanan Laxminarayan, is that the drugs will stop working for everyone, as the bacteria they target grow more and more resistant. He calls on all of us (patients and doctors alike) to think of antibiotics — and their ongoing effectiveness — as a finite resource, and to think twice before we tap into it. It’s a sobering look at how global medical trends can strike home. · Microbial resistance safety data, including data on the propensity for promoting resistance and cross-resistance, as a basic requirement for the assessment of all new antibacterial agents. Human antibiotic-resistance prevalence data in the Product Information. Data on mechanisms of resistance pathways in relevant microorganisms. Data on in vitro cross-resistance with other antibacterial agents in the same class in targeted and non-targeted bacterial species. Location of resistance genes (chromosomal, transferable elements). Data on transfer of resistance genes between bacterial species. The process of updating began in 2013. In August 2014 a new draft was circulated for comments. The final version is expected early in 2015. Process validation data should be generated for all products to demonstrate the adequacy of the manufacturing process. The validation should be carried out in accordance with GMP and data should be held at the manufacturing location whenever possible and be available for inspection. ABC Transporters are proteins that are embedded in the cell membrane and facilitate the transport across cellular barriers not only of an almost unlimited variety of toxic substances, but also of substances that are essential for life. They also play a role in the development of antibiotic resistance. A research group has now succeeded in elucidating the detailed structure of this transporter.